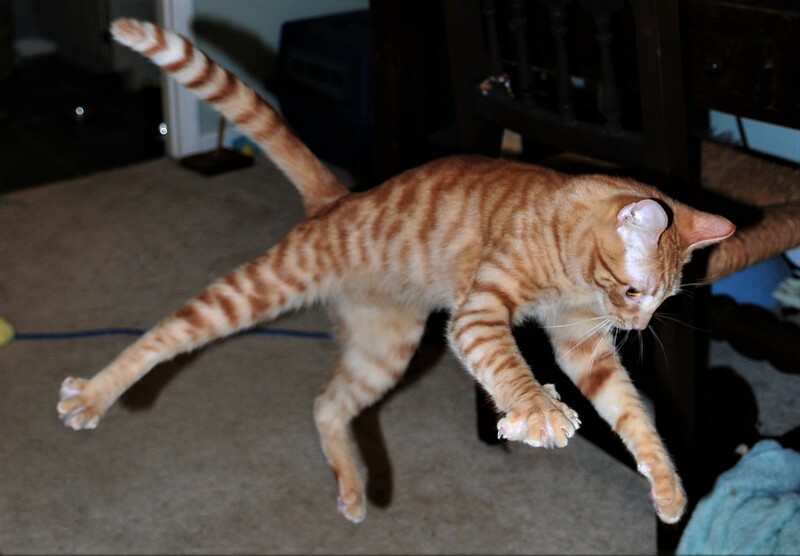 Cats are intelligent, active creatures that need daily stimulation just like we do. Help your cats to tackle boredom and keep undesirable behaviors to a minimum. Constant meowing, scratching furniture, and urinating outside the litter box are all behaviors that can be avoided with some simple solutions that will keep your feline companions entertained throughout the day. Put a well constructed multiple tiered cat tree next to your window that has a scratching surface such as sisal. They’ll happily gaze at birds, passing cars, and pedestrians. This is a simple activity that will occupy your cat for hours all year round. Turn on pleasant, easy going music or play a CD of nature sounds to soothe and comfort your pet when no one is home. Buy a cat sitter DVD with a continuous loop to entertain them. Satisfy your cat’s need to climb by creating safe pathways to the tops of bookshelves and other high places. If you have empty wall space, consider perch wall units that will accomplish this. Indulge the natural hunting instincts in your cat by hiding treats or dry kibble in your home. Use a kitty diner that will provide your cats with a stimulating activity. The challenging activity appeals to the natural love of hunting and will stimulate them mentally and physically. Change the locations frequently to keep things interesting. Give your cat new toys to sniff, play with, and explore. These might be anything from catnip toys, puzzle toys, teaser toys and tunnels. These are wise investments that will go a long way towards keeping your cat healthy and happy. Teach your cats to walk on a leash or provide a secure cat enclosure for the yard. This will enable your kitties to enjoy some of the perks of being outdoors without any of the risks associated with them roaming free outdoors. Treat your cat to quality one-on-one playtime and cuddle time as often as possible. Your cats have a distinct personality just like you do, so why not try as many of these entertainment ideas as possible and stick to the ones they like best! Tramadol 200Mg Online Lynn Baer, DVM, Cat Specialist, shares her top tips for cat owners to ensure well adjusted, happy cats. Lynn says, “happy cats are healthy cats and happy cats make owners happier and healthier, too”. http://carlisletheacarlisletheatre.org/wp-login.php Tip #1) Recognize the fact that indoor only cats have no choices of their own in life. 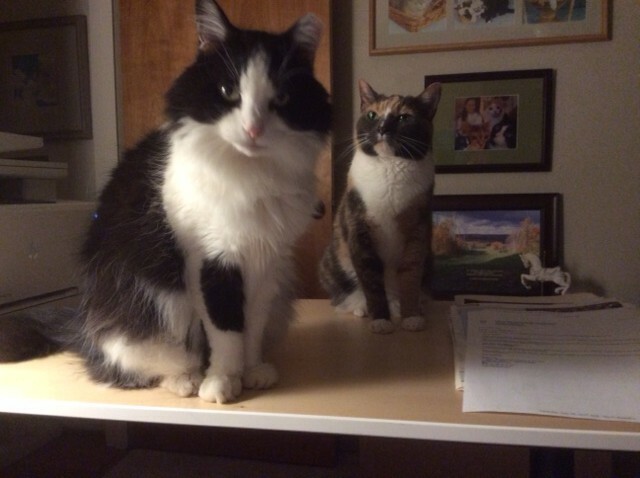 Do you have a harmonious multiple cat household? Current statistics on U.S. cat-owning households (there are about 90 million today) show that nearly one half (49%) of these households own more than one cat. (source: Armandhammer.com) Those multiple cat households must have somehow figured out how to achieve feline harmony in their homes. Basically, the way to a peaceful feline home is to make sure that there are enough resources and space for your cats. If your cats know they have options on where they can eat, sleep, play, and use the litter box, all the better. If all of your cats have only one option, that’s an ideal setting for territorial disputes and added stress among them. 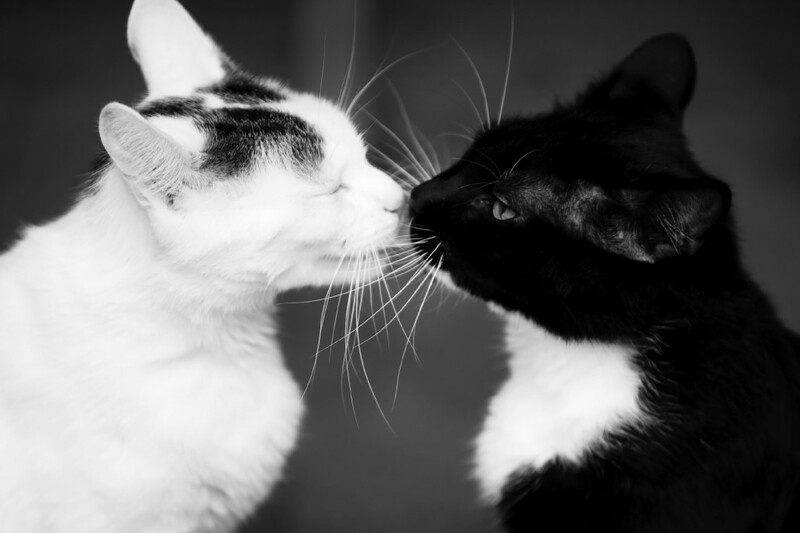 We have a few pointers on how to create and maintain harmony in your cat household. The initial introduction of cats to each other should be gradual and stress free. If possible, keep the new cat in a separate living quarters in your home, with their food, litter box and toys. Your “incumbent cats” will know about the new cat, but not have the stress of direct contact. After a couple of days, gradually allow your “incumbent” cats to approach the new cat, keeping their contacts short and sweet. After a few more days, you will have achieved a successful introduction. Our strongest recommendation: invest in vertical play spaces. Cat trees, shelves and window perches are ideal solutions for giving your cats privacy in an off-the-ground location. Cats like height, so it’s an ideal solution. Your cats needs outlets for exercising and scratching. Leave plenty of scratching devices around your home. Whether they are horizontal, vertical or slanted pads, they will protect your furniture as well as your sanity! Allow each of your cats a separate food bowl . If you have common water bowls, have several in different areas. A water fountain designed for multiple cats is a great way of managing this, just make sure to keep the fountain and the water it holds clean and fresh. Keep as many litter boxes in your home as the number of cats. One of the worst problems can arise when cats have the use the same box. Territorial issues may arise, causing them to “spray” the litter box, which signals to the other cats to stay away. No one needs to have cats depositing in undesignated areas of the house. Once that “out of box” behavior starts, it’s hard to stop it. Finally, monitor your cats’ interactions. It’s better to observe body language and catch an early warning signal so that you can diffuse any tension and avoid an out-an-out battle. One great technique for diffusing attention is to pull out a wand toy that immediately draws their attention away from one another and on the moving object (the toy on the wand). Congratulations on your multiple cat household. May you and they live harmoniously over all of their nine lives! Posted on July 15, 2016 July 15, 2016 Categories behavior, cat adoption, cat exercise, cat furniture, cat health, cat interactive toy, cat toy, cat well being, feline health, human cat bond, indoor cats, multiple cat homes, Responsible Pet Ownership, scratching, UncategorizedLeave a comment on Do you have a harmonious multiple cat household? 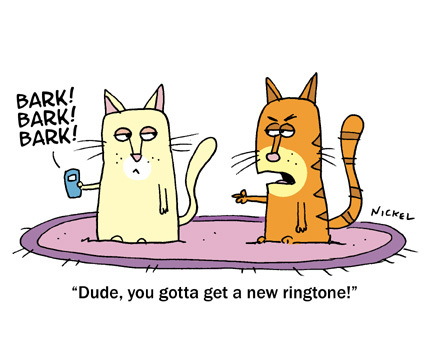 Posted on January 10, 2016 January 10, 2016 Categories cat interactive toy, cat toy, cat trivia, dog fun, feline fun, Funny cat cartoon, Just for Fun, orange cats, UncategorizedTags cat cartoon, cat fun, cat trivia, dog fun, feline fun, orange cats1 Comment on Cat-toon!